We may not always realise it, but we are extremely lucky to have the access to the food that we do in the UK. It’s easy to take for granted how easy it is for us to walk into a supermarket and be able to take our pick of all the produce we need to feed ourselves and our families. However, it does seem all too easy to lose track of the money we are spending on our weekly shops, which is why we are hoping that by highlighting some of the best food shop money saving trends we will be able to encourage more and more people to make their money go further and go some way to improving your money management abilities. One of the best pieces of advice that money experts offer to those looking to save some money on their shopping is to quite simply plan their shop ahead of time. Take a stock check of your fridge, freezer and cupboard to make sure you don’t end up buying something you already have by mistake. Another helpful tip to make you more prepared for your shop is to ensure you plan some affordable meals before you go and shop according to that guideline. While it can be easy to be seduced with offers as you walk through the shop, it is important to be mindful and remain on course with your premeditated plan by sticking to your shopping list too. 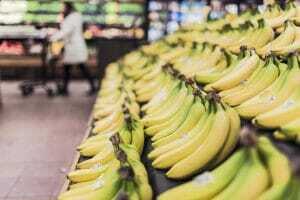 While it may be tempting to head to your nearest supermarket when you’re due a shop, consider the money saving alternative of shopping around a little. Keep an eye out for cheaper fruits and vegetables in your local greengrocers, and consider paying a visit to a butchers and fishmongers who can offer advice on cheaper cuts of meat and may well give you a little more for your money than a supermarket would. When it comes to herbs and spices and other cooking ingredients you will find a lot on offer in Asian supermarkets. When shopping wisely it is important to consider healthy ingredients that can be used for a multitude of meal options. Be sure to buy from each food group and mix up your meals by rotating between using meat and fish with various vegetables and carbs to ensure you keep your meals interesting and varied. Always keep essentials in your cupboard such as eggs, flour and basic spices to add a depth of flavour to your meals. Flour- A staple cupboard item that can be used to make everything from bread to cakes and pizza bases. Wine/ beer- Wine is great to add to stews and pasta dishes and beer is great for meat stews and casseroles. Herbs- A long term investment into delicious and flavoursome dishes. Cheese/ Yoghurt- A great source of calcium and can be used to lift many dishes. Dark chocolate- Perfect for both sweet and savoury dishes. If you are struggling with keeping up with inflation rates and you’re in need of a little extra helping hand to feed your family, then you may want to turn to some help from a short term loan from LoanPig. While these should be used for financial emergencies rather than frivolous spending, everyone needs a helping hand at some point or another. Use our online loan calculator now!